The Smashing Pumpkins' 1993 release, "Siamese Dream." 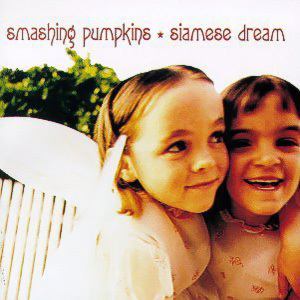 Billy Corgan is the king of getting awesome female bass player to back the Smashing Pumpkins, and word is his latest pick, former Veruca Salt and Spinnerette bassist Nicole Fiorentino, is actually one of the two girls on the cover of, “Siamese Dream,” the band’s 1993 release. Corgan Tweeted the news this week. According to NME.com, the 31-year-old bass player was first reluctant to let anyone know of her ties with the group, for fear Corgan wouldn’t let her join the band. What’s next? The baby pictured on Nirvana’s, “Nevermind,” teaming up with the Foo Fighters? -Xtra: Check out Audio Ink Radio’s exclusive interview with 3 Doors Down.